You’ve probably seen the new Time Person of the Year. 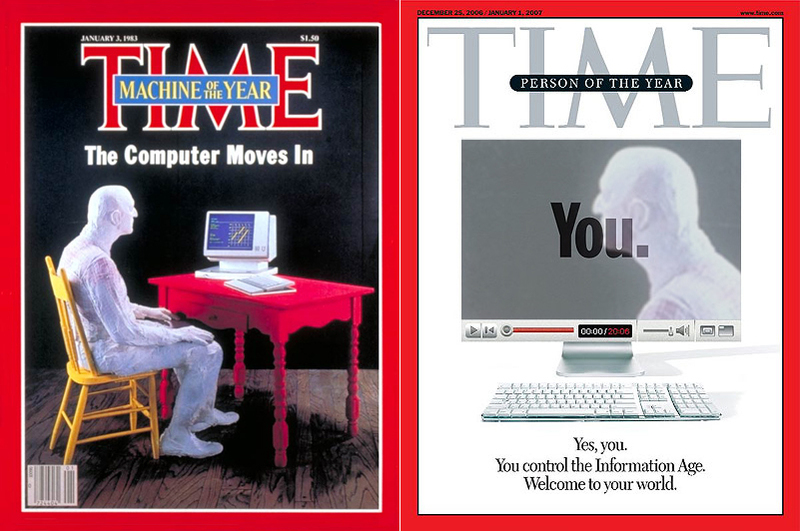 Olia Lialina recently posted this image in the nettime list, she points out that with “You” Time address one particular person, a man they left in front of a personal computer a quarter of a century ago. I think by saying “You control the Information Age” Time hides who is in control and clearly represents the new conservative view about the world. Obviously people who create systems for “you” is in control in this post-digital networked world.